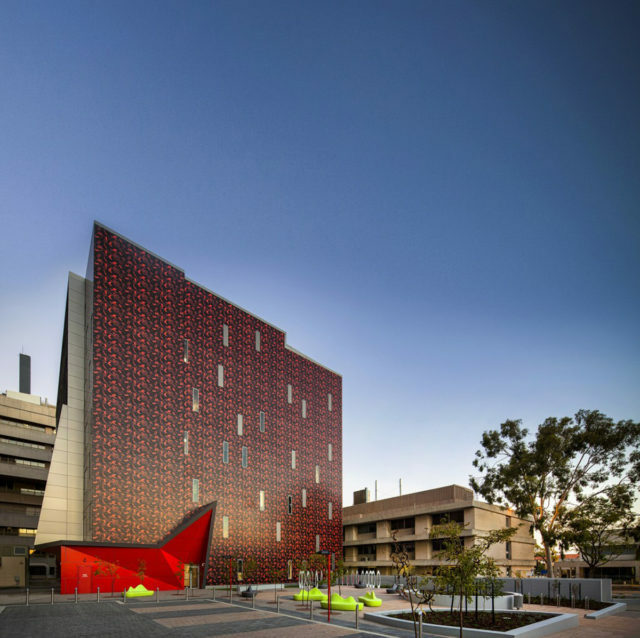 The exterior of the building donned a unique and eye-catching design. Any attention given to PathWest was credited to its façade; the majority of the building is enveloped in fiber cement panels that are embellished with an abstract, dotted pattern reminiscent of red blood cells. 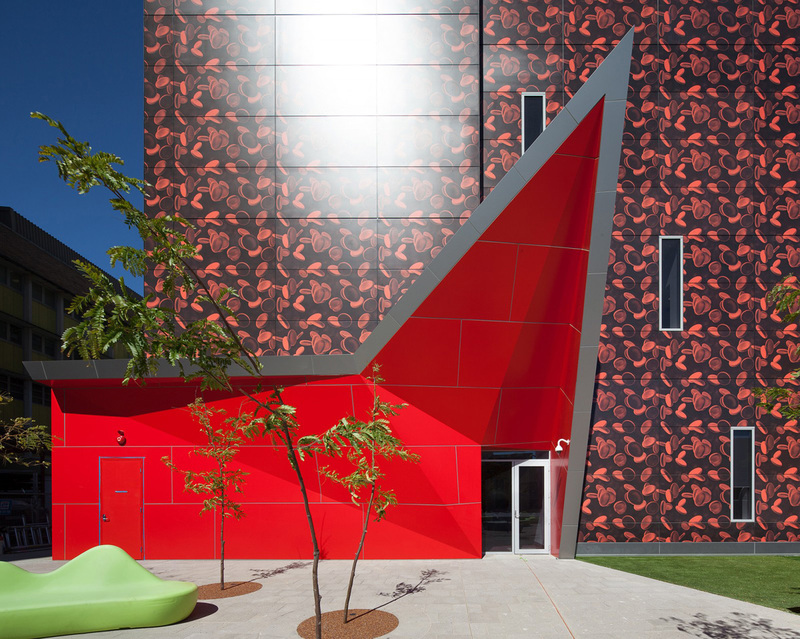 The dark background on the panels paired with the specks of red from the blood cells is juxtaposed with the bright, angular details adorning PathWest’s entrance that resembles a heartbeat. 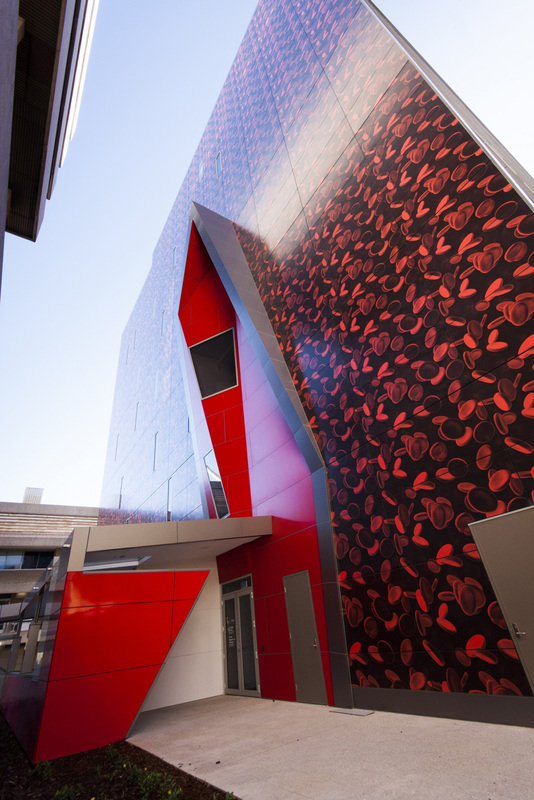 The fiber cement panels donning the striking design were prefinished with A&I Coatings‘ Vitreflon, a fluoropolymer that utilized Lumiflon FEVE resin. The FEVE-based coating offered PathWest a plethora of benefits, which ultimately reduced the lifespan costs of the building. Renowned for its color and gloss retention, weatherability, and longevity, Lumiflon-coated surfaces do not chalk or fade when exposed to UV radiation, salt, and water. Because of these characteristics, PathWest’s unique façade will remain in pristine condition for decades to come.